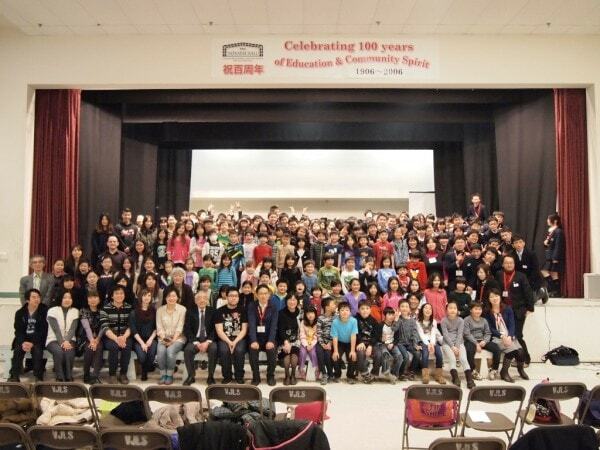 On Saturday, February 15, 160 students from Meisei Junior High School visited Vancouver Japanese Language School (VJLS). 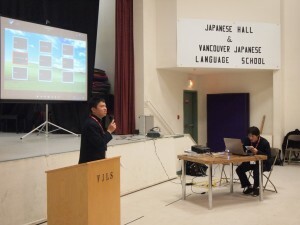 We gave a talk on prewar Japanese Canadian history and VJLS with a picture slideshow. Meisei Junior High School students did a presentation on Japanese Culture including how utilize randoseru, or school bag and furoshiki, or wrapping cloth. Later, both students sang school song and VJLS student council gave a welcome speech. 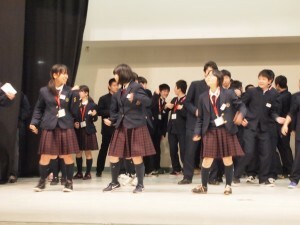 Then they performed AKB 48’s Koisuru Fortune Cookie and it was very exciting. At the end, they sang Canada’s national anthem and we both sang Japan’s national anthem to close the event. It was great “intercultural” exchange. 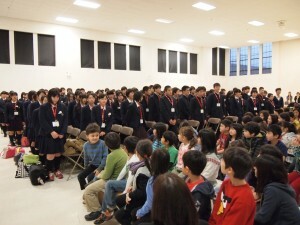 No Comments to "Junior High Students from Japan［日本の中学生を迎えて楽しい交流会］"